— NWS Chicago (@NWSChicago) January 27, 2019“There's no mild way of saying it. Brutal cold is coming,” the National Weather Service office serving Chicago tweeted. It is predicting air temperatures close to -20°F and wind chills of -35°F to -45°F Wednesday morning. Chicago's high temperature may remain below -11°F on Wednesday, which would signify its coldest afternoon in recorded history. There is an outside chance low temperatures in the Windy City touch -20°F on consecutive days Wednesday and Thursday, which has happened only four other times in recorded history. The Weather Service office serving Chicago is predicting temperatures will remain below zero for 60 consecutive hours, from Tuesday afternoon through Thursday.“Only eight times since 1872 has Chicago recorded subzero highs on at least two consecutive days, the most recent being early February 1996,” it said. “THIS HAS THE POTENTIAL TO BE LIFE-THREATENING COLD AIR!! !,” its forecast discussion said. “This is the coldest air many of us will have ever experienced.”It warned frostbite can occur to exposed skin within minutes under such conditions. 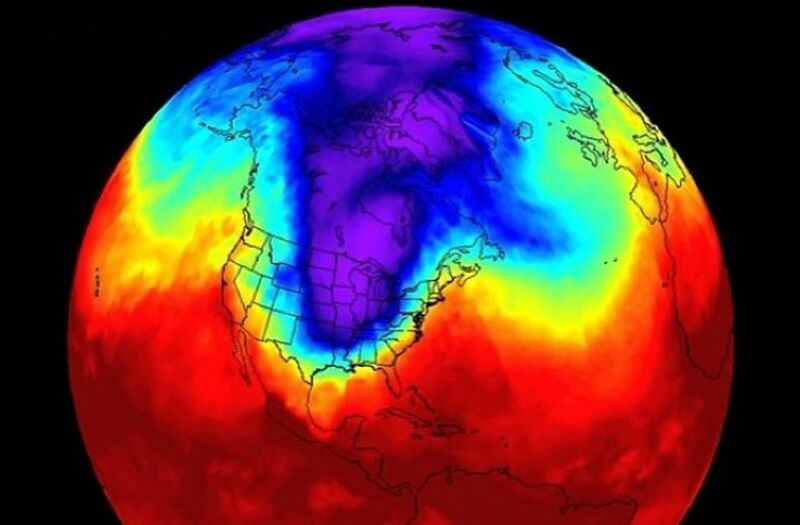 The entirety of Minnesota and Wisconsin and much of northern Illinois is expected to remain below zero for all of Wednesday.“This is a bonafide arctic airmass,” tweeted Sam Lillo, a meteorology researcher at the University of Oklahoma, noting temperatures at high altitudes may rival the coldest ever recorded in the contiguous United States.